Trousers available in 8 colors: black, taiga green, adaptive green, beige, camogrom, olive drab, shadow grey and mud brown. The Men's Outdoor Tactical Pants® from Helikon-Tex is the direct heir of the already tested UTP® -Urban Tactical Pants® from Helikon. Thanks to the meticulous reading of opinions and suggestions of users of UTP® trousers, Helikon-Tex decided to meet the expectations of customers by presenting men's tactical pants OTP® - Outdoor Tactical Pants®. 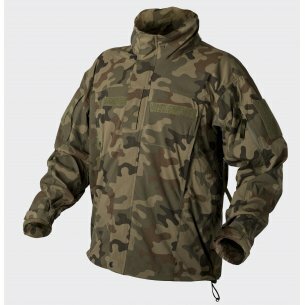 While maintaining the functionality of its predecessor, Helikon has managed to adapt urban militias to the tasks that outdoor adventures bring with them. The most important change concerns the material used to make new trousers. While the cut remained virtually unchanged, new materials were chosen to meet even the most demanding conditions during field operation. Used in the production of Nylon, it provides adequate breathing of the skin during efforts at low heat loss, which is especially important during increased effort in the open air. Pants also protect against wind and light rain, so as to retain the user's comfort while working intensely. The Men's Outdoor Tactical Pants® also uses Spandex, which makes the pants extremely comfortable and does not restrict movement in all conditions. Most importantly for fans of intensive use, the type of cut used in the back of the pants reduces the slipping of trousers in all conditions. OTP® Helikon-Tex® pants do not reveal the identity of the user with their universal cut. You can easily carry them on a daily basis and at any time step out into them into a deep area while maintaining maximum functionality and convenience. They are an ideal medium between civilian and tactical pants. 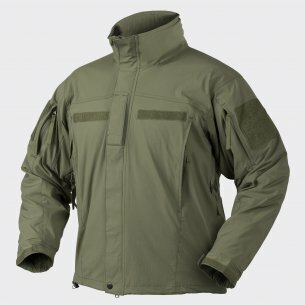 Elevated trousers and prevents them from slipping and allows you to easily let in uniforms or, for example, Combat Shirt. The use of wide loops (50mm) allows the use of wide belts with Duty Belt or Utility belt, and two loops with loops on the front of the trousers to attach carabiners or D-rings to additional equipment. Thanks to the large number of pockets (10 in total) we can easily carry all the items we need with ease. The front, classic pockets have gained additional reinforcements on the edges so that they do not wipe off the knife / multitool clips that will be attached there. The back pockets are open and have been profiled to the front so as to make it easier for us to reach for their contents. What's more, they have been designed so as to give the opportunity to quickly drop empty magazines. In both back pockets there are also two smaller ones for carrying, for example, pistol magazines, a flashlight or a telescopic baton. The fly is the YKK® zipper and the trousers in the waist are fastened with Velcro on a flexible belt. OTP® trousers to increase the functionality have as many as 4 side pockets. Two spacious cargo pockets fastened with YKK® zip with inside mesh and elastic strap for carrying additional magazines. 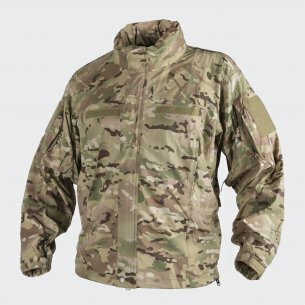 The cargo pockets look flat, but their cut allows the transfer of sizable items such as wallets, pockets or personal dressings (IFAK). Two pockets placed next to the cargo pouch, fastened on Velcro flap, easily accommodate a large smartphone and are large enough to fit the AR / AK standard magazine. In addition, the Outdoor Tactical Pants® are reinforced on the knees, allowing the user to take advantage of the full range of movements, including, for example, a sudden fall on the knee without worrying about injuries. On the inside of the knee there are also flat pockets under low profile protectors for maximum safety in difficult conditions. The trouser leg is profiled at the back - divided and connected with a fold under the knee to increase comfort while wearing it. The edges of the trousers have been equipped with channels for the binding / tie-down straps. 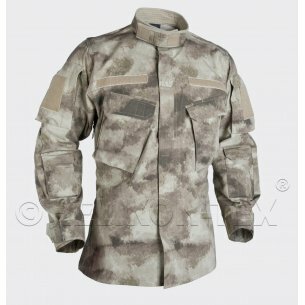 Shadow Gray, Mud Brown, Khaki, Adaptive Green, Olive Drab, Taiga Green, CAMOGROM®, pencott wildwood and Black. Thanks to such a large range of colors, we can choose your pants for the right activity and the rest of your wardrobe or your equipment. Men's Tactical Pants Outdoor Tactical Pants® with Helikon-Tex is an ideal choice even for the most demanding and demanding enthusiasts out of civilization, as well as anyone who appreciates the comfort and functionality of worn clothing. They work well both in urban conditions, at work, as well as during tourism or Airsoft. They provide comfort, safety and long use thanks to the materials and solutions used.